Please Contact VERDIN Law for current immigration law questions. 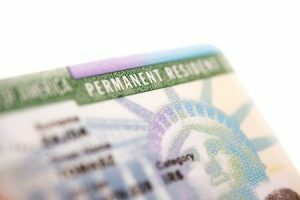 When to Renew a Green Card? You should renew a green card (permanent resident card) if you were issued a card valid for ten years – that has either expired or will expire within the next six months. Immigrants may be tempted to hire an immigration consultant or “notario” to assist them with the green card process; because notarios may offer their services at a reduced price. That price, however, usually comes at a large cost. Notarios often use false advertising to market themselves as legally qualified – when really they may have little to no immigration expertise or experience. Questions? Please Contact VERDIN Law. Or call us today at 214-741-1700. If your permanent resident card is valid for only two years, then you are not a permanent resident; you are a conditional resident. It’s best to think of conditional residency as it sounds: the person is a permanent resident with conditions attached. Thus, these persons have to file petitions to remove the conditions on their residence prior to their card’s expiration date. Conditional residents should file these petitions to remove the conditions on their status 90 days before their conditional green card expires. If your permanent resident card does not have any expiration date on the front, then you have a very old version. Most old versions are no longer valid. As a result, even if your card does not have an expiration date on it, United States Citizenship and Immigration Services (USCIS or the Service) recommends that you apply to renew it. Like explained above, even if an “old version” is no longer valid, that does not mean that the holder of the card has lost his or her permanent resident status. His or her permanent resident status remains intact even though the card is no longer valid. If you have been convicted of any criminal offenses or have recently been arrested, we recommend that you speak with legal counsel prior to renewing your green card. Background checks are typically required when green cards are renewed. To renew your permanent resident card, you must complete and submit a Form I-90 with USCIS. USCIS provides instructions for how to complete the form. It is important to note that permanent resident children must renew their green cards when they turn 14 years of age. A Form I-90 is submitted for that purpose as well. If you are a conditional resident and your status is expiring, you should not submit a Form I-90 with USCIS. Instead, you must file a petition with USCIS to remove the conditions on your residence. If your conditional status was based on a marriage, file a Form I-751 with USCIS. If your conditional status was based on being an investor or entrepreneur, file a Form I-829 to remove the conditions on your residence. Removing the conditions on your residence can be a tricky process, and if you fail to file the petition before the expiration date, you could lose your permanent residence altogether. We advise that you carefully review the instructions for these forms and speak with legal counsel if your card’s expiration date is near. The earlier you get started on the process, the better. Please Contact us for more information on a Green Card Renewal.